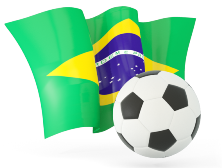 After Juventude have played first half without goals in six games in a row to make the right choice is easy and stake is obvious – one of the teams will definitely score in the first half. CRB have always played convincingly at their stadium, they can not score three rounds in a row, so the guests will concede today. Luverdense should take today three points and it will be high-scoring game, the rivals will start scoring in the first half. can remоve me from that service? Kudos!